We are thrilled to announce that we have added spray tanning onto our service list! I myself have been getting spray tans weekly for many years now and after having my baby in late 2017, I decided to buy an actual tanning system in order to spray myself at home. When you have a baby, convenience is key and I needed a way to get my tan being that I could not take my baby with me to the tanning salon. Once I got used to the tanning system and having fun with it, it clicked in my head that my clients are literally always asking me where they can get a spray tan for their special events. Well, why not kill two birds with one stone and be able to offer spray tans AND makeup?! After seeking out brands and classes that I really liked, I finally took a class with Aviva Labs and received my certification in spray tanning. Now, I am officially offering spray tanning services for my clients both in our West Midtown studio and on-location! Any pressing questions about spray tanning? 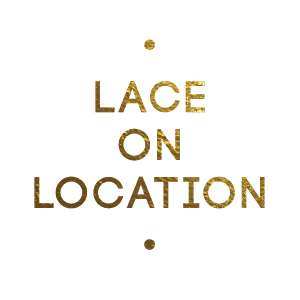 Check out the FAQ section below and you can always email me at amanda@lacecosmetics.com where I will be happy to answer any of your questions. Usually 7-10 days and then you can come back for a refresher. Will is rub off on my clothes? The day you tan, we suggest you wear dark, loose fitting clothes. After you shower off the bronzer, you are good to wear whatever you would like. Will it irritate my skin? The Aviva Labs tanning solution is a sensitive formula but if for any crazy reason you feel irritation, hop in the shower and was it off immediately. Will I look look orange?